TORONTO, June 7, 2017 – This is the year that Mo Kenney plugs in, quite literally. The award-winning artist from Dartmouth, Nova Scotia, Canada is releasing The Details due September 29, 2017 via Toronto imprint Pheromone Recordings. Mo Kenney’s numerous achievements for her songwriting and music are impressive for an artist who began releasing and touring less than five years ago: 2013’s Society of Composers, Authors and Music Publishers of Canada Prize for her song Sucker, the USA Songwriting Competition’s 1st Place Winner (Folk) for I Faked It, numerous Music Nova Scotia and East Coast Music Awards, a Canadian Folk Music Award and a JUNO award-nomination. With The Details, Mo Kenney traces her own strange, devastating, and ultimately hopeful trip through the trials and tribulations of booze-fuelled breakdowns, clouds of depression, and disintegrating relationships. It’s a journey, thankfully, that finds Kenney sailing to calmer seas, closing gently on the sparse, clear-minded “Feelin’ Good.” But the storms weathered to get there are the kind that leave lasting scars. The self-destructive drive of “On The Roof” explodes out of the gate with blistering intensity. “June 3rd” channels the late Elliott Smith with spectral atmospheres as Kenney comes to terms with her alienating behaviour. And the vicious, rollicking “If You’re Not Dead” shows her playing mind games over feral guitar solos and biting hooks. With every track, Kenney unflinchingly confronts her annihilation and eventual redemption, leaving nothing out. Combining elements of bruising rock ‘n’ roll, vivid psychedelia, and haunting, left-of-the-dial pop, The Details documents Kenney’s fight to survive her own worst enemy. 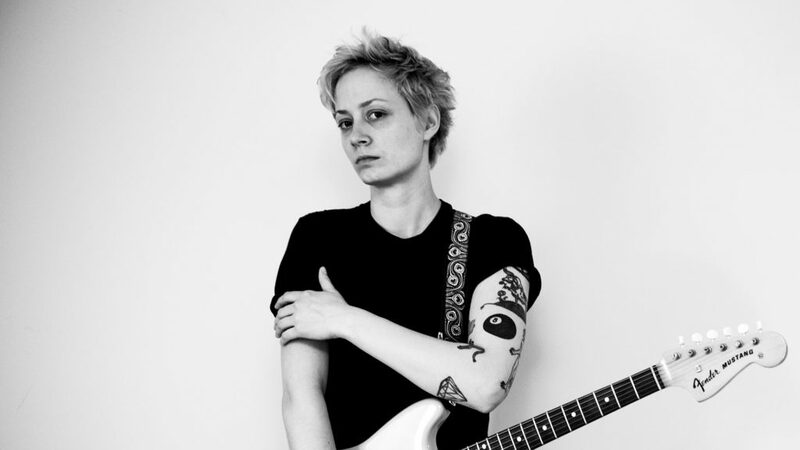 Mo Kenney just returned from touring the United Kingdom. Follow along here to see her live. More tour dates will be announced. Find Mo Kenney on Twitter, Instagram and Facebook.